You could bundle all of those copies of films and TV shows on VHS to donate to a charity shop, but be aware that they may not be accepted. VHS players are rarer and rarer these days, and even charity shops might be reluctant to take something they know won’t sell, and they may end up throwing them in the bin themselves. While a vintage shop may be interested in your collection, check with them beforehand to make sure. Alternatively, you could post on social media or on sites such as Freecycle and Gumtree to see if anyone will take them off your hands. Even if people don’t want to watch VHS anymore, some people may want the old tapes to use for their own creative projects. Speaking of creative projects, you yourself could utilise your own VHS tapes in this way rather than giving them to someone else. Upcycling is very trendy at the moment, and basically means recycling old things to create something new, such as furniture or an art piece. The tape inside the VHS cases can be used in a number of different ways to create something new. Why not use the tape to create a unique cover for a notebook? It also makes an excellent ribbon to wrap gifts; you can even stretch the tape out and use it for crafting accessories, such as intricate detailing for bags or even a bracelet. If you really fancy getting creative, you can cut the tape into thin strips and crochet them into a bag made entirely out of VHS tape. If you’re a fan of vintage styles, VHS cases can be used in so many ways to craft wonderful pieces of furniture and art. Everything from tables, to shelves and even clocks can be crafted using VHS tapes. Their uniform shape and flat surface make them the perfect building material. Take a look online for some design inspiration; you don’t even need to be especially handy or crafty, something as simple as gluing some tapes together to create a small box can be used as a unique plant pot. There are some people out there who are avid collectors of VHS tapes, and you might have a copy of a film that they don’t own already. It’s worth putting your VHS tapes up for sale on sites like eBay and seeing if anybody wants them. Plenty of VHS tapes also have cover art which was not replicated on the DVD release, and people might be interested in your tapes, if you happen to have one of these. Additionally, some very old programming won’t have the original recordings anymore, due to it being lost or destroyed by the TV company; or it was recorded over so they don’t have it in their studio archives. If you happened to have recorded one of these programmes on a VHS recorder many years ago, you could stand to make a fair bit of money by selling your tape. If you’ve got unwanted tapes, it’s worth trying to find a sustainable way to dispose of them rather than just throwing them away. Unfortunately, it’s very difficult to fully recycle VHS tapes, so trying to pass them on to someone who might want them or getting creative with upcycling is one of the best ways to dispose of them. 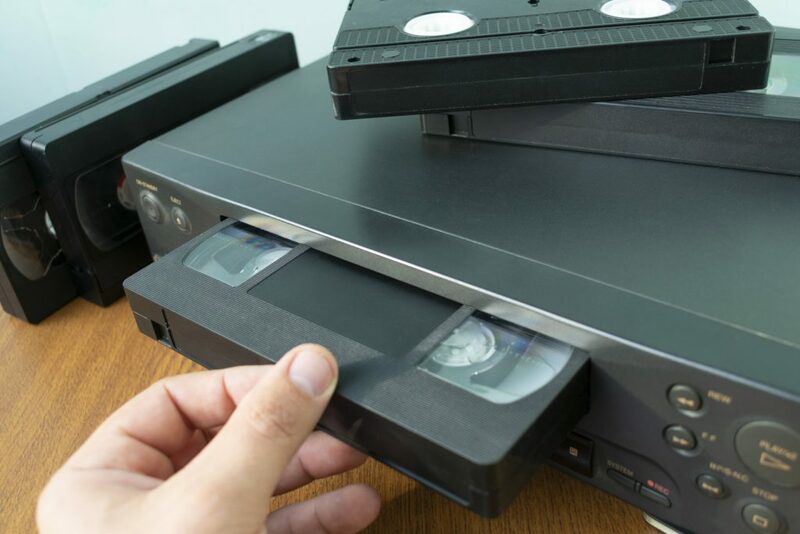 Make sure you save that family footage before you get rid of your tapes with a VHS to DVD conversion. 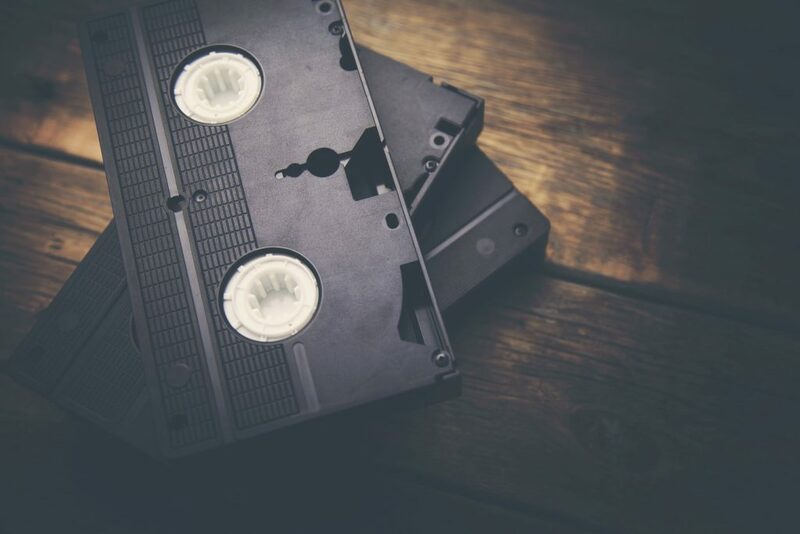 At Video2DVD, we can convert your old tapes onto a more convenient format, so you can enjoy your footage for many more years to come, and we’ll send you back your original tapes, too.